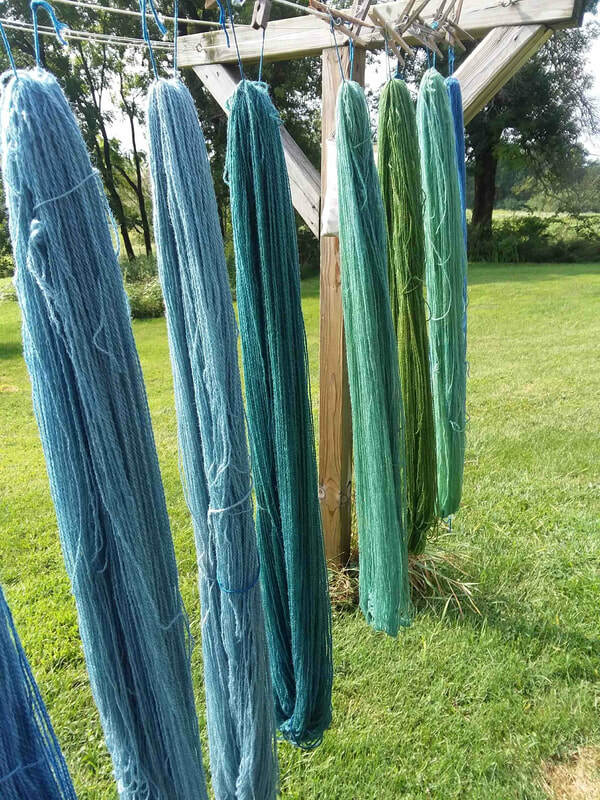 Demonstration: Weaving and indigo dyeing. 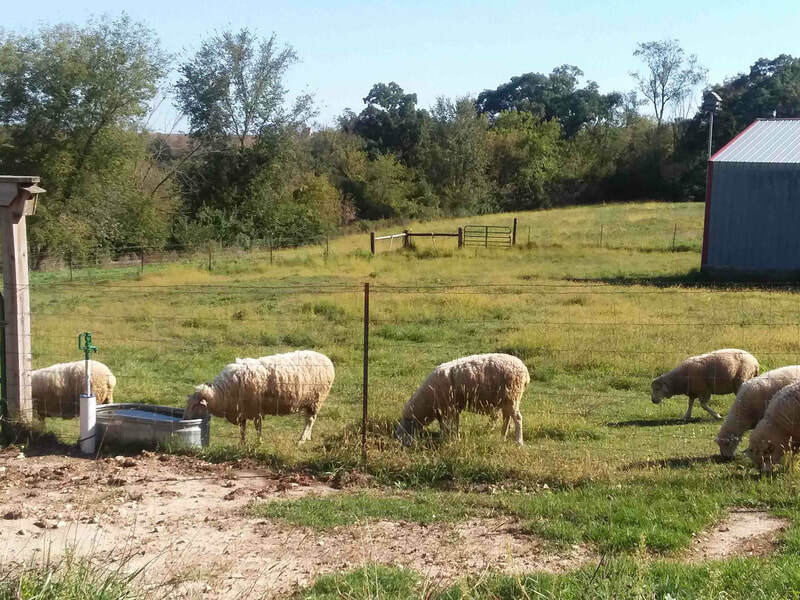 There will also be an opportunity to visit with the sheep. Born and raised in Denmark, I have lived in USA since 1983. 4 years ago I retired to a farm in Soldiers Grove. 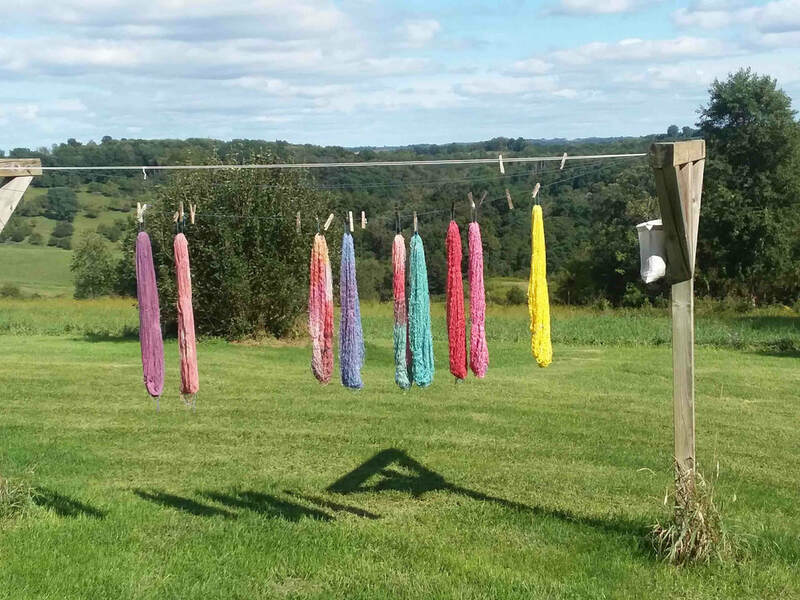 In the 70s in Denmark I dreamed of raising sheep since my hobby was to dye wool yarn with natural dyes and plants. I now have a flock of sheep, mostly Marino blends, so in my retirement I am busy spinning, dyeing and weave my sheep’s wool into heavy woolen rugs, blankets, shawls and scarves. 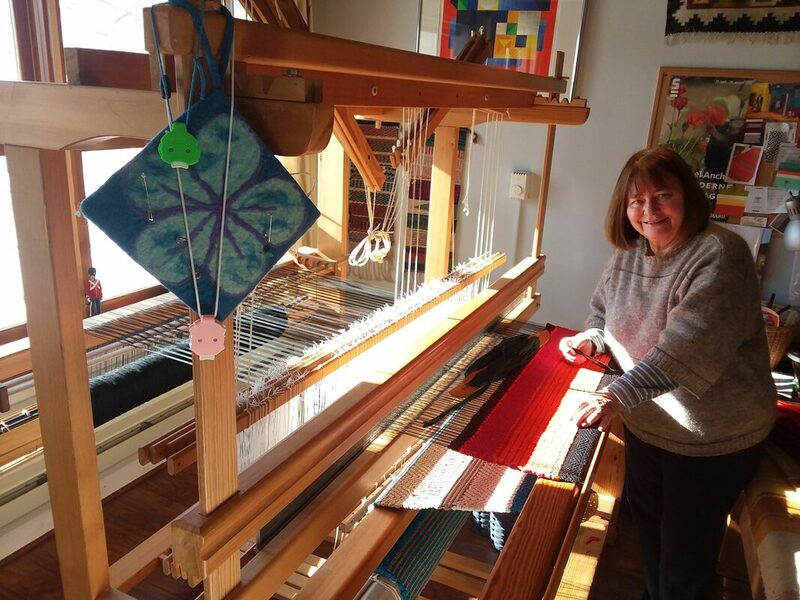 As a weaver I like to weave with all kind of yarns, cotton, linen , rayon and hemp which I weave into wall and window hangings/displays, scarves and pillow cases. I have 3 different looms. 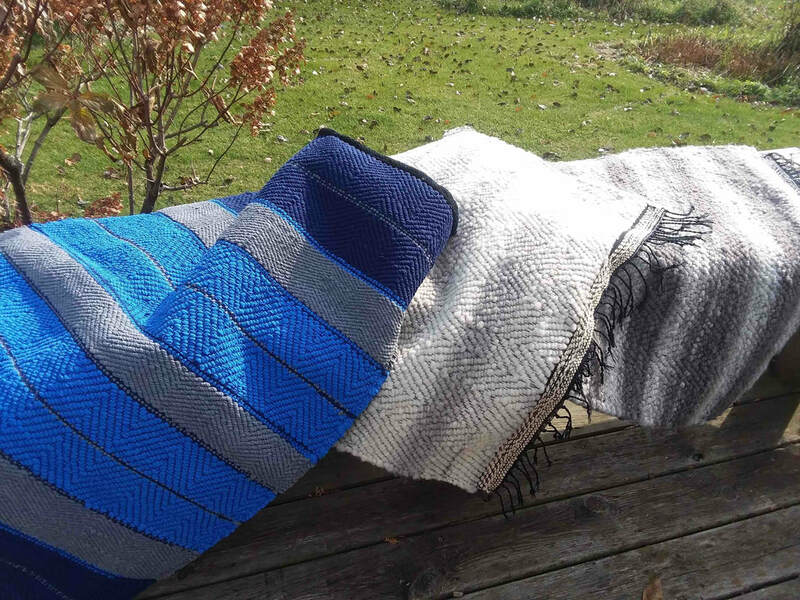 A Swedish Floor Loom for floor rugs and cotton rugs. A medium sized Loom in my summer studio and a small loom for finer weavings such as scarves and pillows. 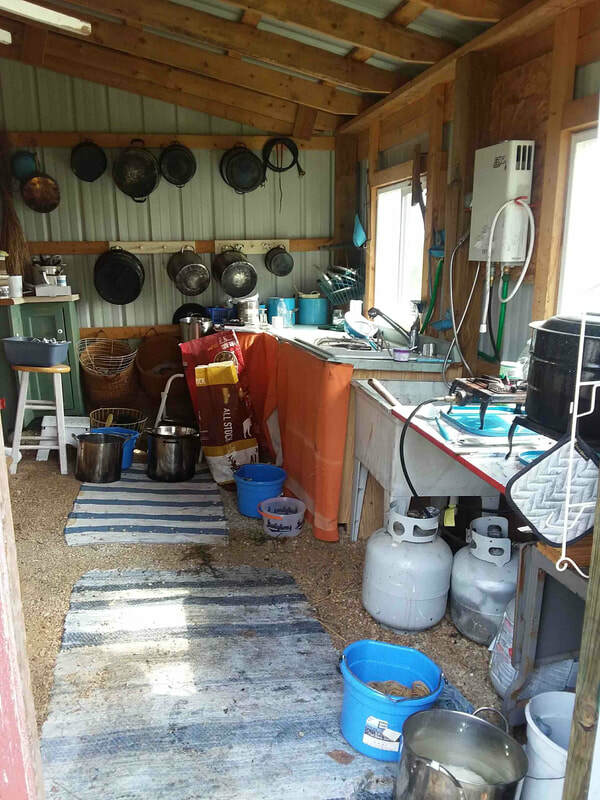 In the summer I am spending a lot of time in my dye studio dying my own yarns with natural dyes and indigo as well as plants from our restored prairie.